The commercial supply ship is scheduled for liftoff on top of an Antares rocket between Oct. 9 and Oct. 13 from the Mid-Atlantic Regional Spaceport at NASA’s Wallops Flight Facility on the Eastern Shore of Virginia. If the launch occurs Oct. 9, liftoff is timed for 10:47 p.m. EDT (0247 GMT on Oct. 10), roughly the moment the space station’s orbital track passes over the spaceport. When the Antares booster blasts off, it will be flying for the first time since a fiery launch failure in October 2014 that left the rocket grounded for nearly two years. Since the failure, Orbital ATK has replaced the decades-old AJ26 engines blamed for the mishap with newly-built Russian RD-181 engines and repaired the damaged launch pad. 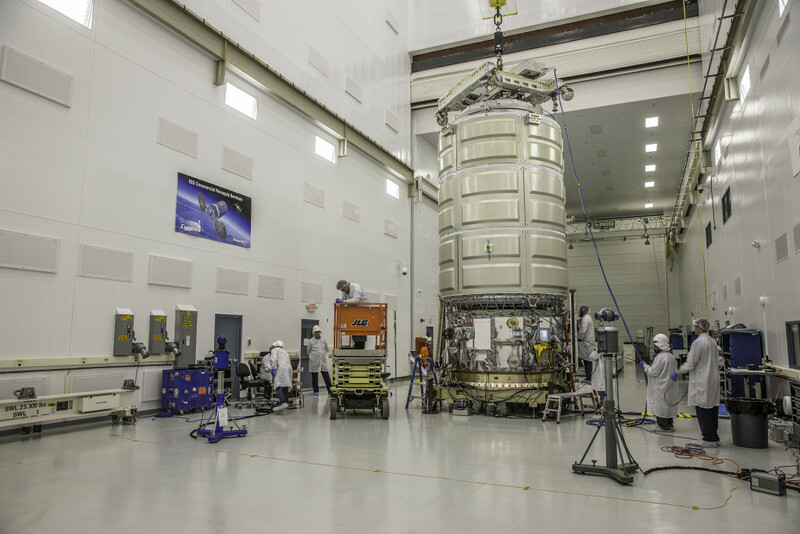 In a major step toward next month’s launch, technicians transported the Cygnus spacecraft Monday night from a clean room on the mainland at Wallops Flight Facility to a fueling facility on nearby Wallops Island. Workers are loading toxic hydrazine and nitrogen tetroxide propellants into the Cygnus service module ahead of another move early next week to deliver the spacecraft to Orbital ATK’s Horizontal Integration Facility, where ground crews will install the ship’s final cargo load and mate it to the upper stage of the Antares rocket, then add the launcher’s nose fairing. The flight will be the sixth of 11 Orbital ATK logistics missions to the space station through 2018 under a multibillion-dollar contract to NASA. 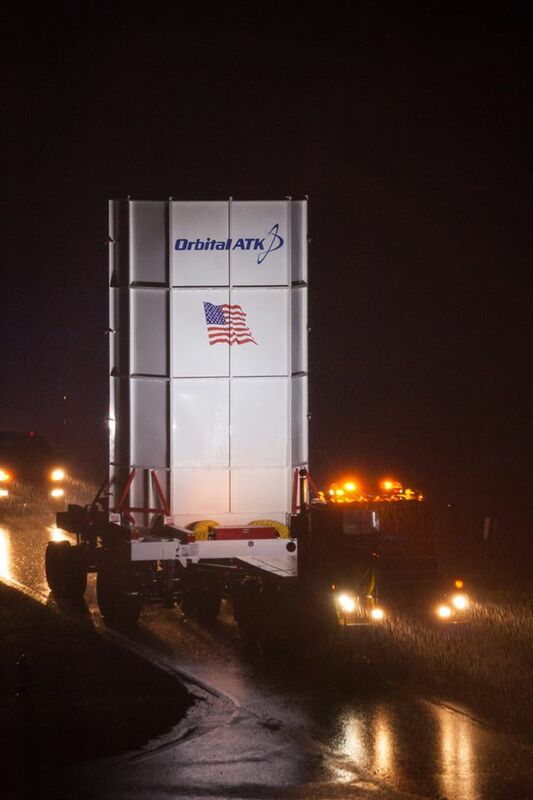 Orbital ATK and NASA have a separate contract for at least six additional cargo flights from 2019 through 2024. NASA is still finalizing the equipment technicians will pack into the Cygnus spacecraft’s pressurized cargo module before launch, but the upcoming mission — known as OA-5 — is expected to haul more than 5,000 pounds (about 2,273 kilograms) of provisions, experiments and other hardware to the space station, according to the agency’s latest manifest. That figure could change slightly based on the final cargo load, a NASA spokesperson said. NASA officials are eager for the Antares rocket to resume flights as all of the space station’s other servicing vehicles are facing delays. And the Soyuz crew capsule that was slated to launch Friday could have to wait until early November to fly due to a short circuit that requires repairs. The Soyuz delay could impact a Russian Progress resupply mission that was scheduled for liftoff Oct. 20. The space station has plenty of supplies to keep the crew healthy and busy for the next few months, but the recent SpaceX and HTV delays occurred just as the orbiting research lab’s stockpiles were nearly replenished after a series of U.S. and Russian launch failures in 2014 and 2015. “In terms of spares on orbit, critical spares for hardware, I would say we’re close. We’re not quite recovered,” said Kirk Shireman, NASA’s space station program manager, in a Sept. 1 interview. “In terms of food, water and science, yes. Our No. 1 priority was, of course, we want to keep the crew healthy, but it was really also science. And then it was building back up the spare posture we’d like to have on orbit, and we’re close to that. 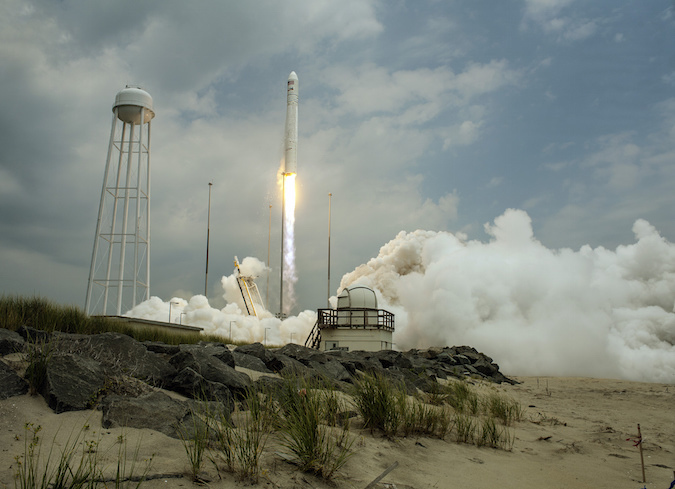 Engineers this summer have resolved several technical problems related to the new engines and their performance with the Antares rocket, including vibrations detected during a hold-down engine firing at the Wallops launch pad in May. 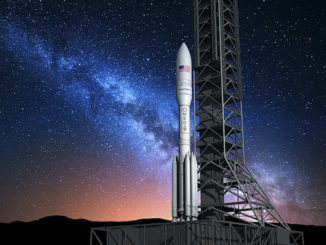 Shireman called the new upgraded Antares booster essentially “a brand new rocket,” and NASA is being careful about what it puts aboard the redesigned rocket on its first flight. “In terms of what we put on-board, we do a risk trade,” Shireman said. “That risk trade is not a static risk trade. It changes all the time. 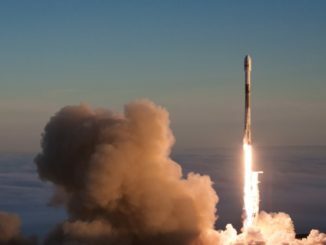 We look at what are our needs on orbit at any given time, what are the other vehicles that are coming, and what do we think the risk is for that particular launch. Based on all that calculation, we’ll assign cargo.